"The Undateables" takes over SBS' Wednesday & Thursday 22:00 time slot previously occupied by "Switch: Change the World" and followed by "Your Honor" on July 25, 2018. 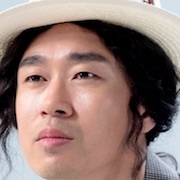 Main male character's name of Hoon-Nam also means "handsome guy" in Korean. First script reading took place April 2, 2018 at SBS Ilsan Production Center in Tanhyun, South Korea. Filming begins early April, 2018. Episodes 13 & 14 will not air as originally scheduled on Wednesday, June 13, 2018 due to airing of local election results. Episodes 13 & 14 will instead air Thursday, June 14, 2018. Ep. 19-20 will not air as originally scheduled on Wednesday, June 27, 2018 due to coverage of the 2018 FIFA World Cup. Ep. 19-20 will instead air on Thursday, June 28, 2018.
tyui Feb 16 2019 10:18 am Goong Min Oppa... ever said that he want to play on romance drama.. and this is.. but.. so much many people didn't like this drama.. over the story even the player..
Scarletwoi Dec 29 2018 7:06 am I really really like this drama! This is one of the dramas that is closest to real life especially the feelings and emotions portrayed by the lead casts! On the first few eps., I'm having a 2nd lead guy syndrome but as it goes on, I get crazy about the two lead casts. Their chemistry was amazing! I almost forgot that they're siblings in 'Listen to my heart' ? I'm one of the few who will rate this as 10/10! semperlei Aug 28 2018 9:48 am My two powerhouse fave korean actor and actresses in one kdrama?! Daebak!!! Splendidly they acted so well in this drama.. That i really felt their chemistry and really bring me rimantic chills... It was romantic, funny and heart warming drama for me.. Tho it became a little draggy in ep 15 to 16... Still a great one for me. A feel good kdrama to watch. PSJisLove Aug 27 2018 10:28 pm I watched this drama because I like both of the main leads. But! I realized that liking the actors doesn't necessarily mean that I'll like the series too. I understand why its a flop. While both of the main leads are trying their best to justify their characters, the flow of the story is not interesting at all. I even stopped watching it for a while and when I continued, I watched it in a fastforward mode just for the sake of finishing the series. This series is also giving me Second Lead Syndrome big time. I am liking Joon Soo for Jung Eum more rather than Hoon Nam. Their chemistry is so great. My concern is, I don't know if its a loop hole or I just didn't get to pay attention on this scene, but is the picture of Hoon Nam and his Mom with Jung Eum as photo bomber was answered? Saj Aug 20 2018 9:25 pm This drama was so boring after the 5th or 6th episode. One of the worst dramas i have seen so far. Not worth watching unless you are an avid fan of the actors. 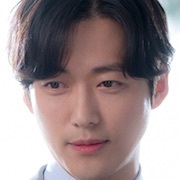 Paula Aug 11 2018 8:33 pm I absolutely love seeing Nam Goong Min in roles like this! He plays the scary bad guy so incredibly well, but its nice to fall in love with his charming handsome side! lrt Aug 08 2018 6:15 pm Not diggen' the frosted lipstick and frosted eyeshadow on the guys especially when they are sitting next to girls with less makeup!!! Distracting for me big time. Overall cute drama but slow in many spots. Kori_023 Aug 07 2018 1:06 am This was the cutest drama. Why was the ratings so Low? I thought for sure it would reach beyond 17% I am stunned right now. I looked forward to watching this drama every single week. My sister lives in another state & every week this was our drama to chat about. I hope the cast realize they made us super excited and happy about this drama. 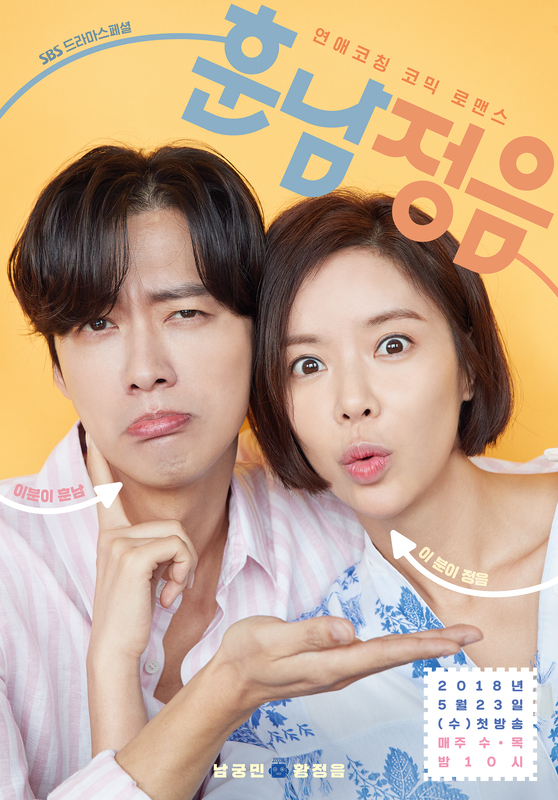 AMWonderland Jul 24 2018 4:38 am I really love this drama because of the daebak chemistry between the two amazing leads - Namgoong Min & Hwang Jung Eum!! But (SPOILER ALERT!!) I cannot for the life of me understand how a romcom with 2 matured people who are uri beloved OTP - Kang Hoon Nam and Yoo Jung Eum, can end without a final kiss???!!! The scenery in the last episode where they were watching the sunrise was so beautiful ... yet they stood without touching or a Sweet Romantic Kiss????? Then, the very last scene where they were so CUTE in the Baby pool - again no kiss / sweet peck on the lips???? Seriously??? Gawd ... I really felt like killing the Writer & PD!! WTH??!! Hoon Nam and Jung Eum are not teenagers, for goodness sake!! Wittylove Jul 23 2018 11:03 am This series made me laugh so hard in the middle of the night! Lol! The plot its pretty light but its worth watching. Not heavy like melodramas. Dont understand why some pple dislike it? Love the lead couple. They're so funny n cute and their chemistry is so good! Love to see them onscreen again! Go min Nampyon Jul 10 2018 10:04 pm Really love this dramaa!!! The taste like "the greatest love".. When mature guy meet adorable woman.. Oh my.. Can't handle NGM charism. The great love story is always about push and pull realtionship, writternim and PDnim make it!! Hum Jul 05 2018 6:40 pm Omoo.. it's almost done..
mary Jul 03 2018 2:36 pm This drama has given so much butterflies in my stomach. I hated Hoo nam when i watched The war of the son. But now I felt like it changed all of a sudden. No doubt that i really like Jeung Eum in whatever drama she portrays she’s nailing it. I really enjoyed watching her on a kdrama. More power To The Undateables. You’re doing a very good job. ????? Ahlori Jul 01 2018 9:43 am I really love them the story is yeah quite ordinary but hello it was nam goong min & jung eum and i love them. Jocospock Jul 01 2018 7:58 am I don't care if the comments say it's bad. I love the two main leads, and I've seen them both in many dramas, but the first drama I watched them in is Can You Hear My Heart, and baby I am so excited for this reunion. I'm ready to watch! Shu' Jun 29 2018 2:47 pm I think I expected way too much from this. Because Namgoong Min was in it and Jung Eum, I excepted some kind of mature romance supported by a nice plot, no matter what it was.. But I think it's just a waste of such a great cast. I wonder why such nice actors choose this project, btw. Anyway, if anyone want to try, you should if you have some time or nothing else to watch, you may like it, but don't hope for something incredible. Irdeena Sofea Jun 29 2018 1:05 pm am i the only one love this drama? Guiltypleasure Jun 24 2018 11:49 am If the actress & actor are not them, I am sure this drama has less viewer than it. This drama survive because they casts great actor Nam gung min, great actress hwang jung eum, adorable and great supporting actor choi tae joon. Frankly I never really like Nam gung min's style neither Hwang Jung Eum's pronouncation. But there is something in them, their uniquness, natural acting, their aura that made me always follow almost all of their dramas although i never admit I am their fans hahahaa... difficult describe it. Easter Lily Jun 21 2018 4:20 am I heard that this show was boring but to my pleasant surprise, I'm thoroughly enjoying it. Of course I started this for NGM but it's loads of fun especially the matchmaking stuff. ... Jun 18 2018 10:44 am @grace couldnt agree more. Grace Jun 17 2018 8:03 pm I am actually enjoying this drama more than What’s wrong with secretary kim. The casts her are much better in delivering their lines and more cohesive in terms of the story line. 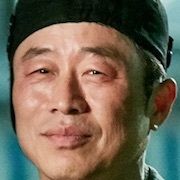 Ko dong man Jun 14 2018 3:20 pm Why isnt episode 14 coming out?? ?? Aldz Jun 09 2018 5:08 am Love this! Can’t wait for the next episode. Mayo Jun 07 2018 7:15 am Love ❤️ this romcom..
dorothy Jun 06 2018 12:29 pm I love this drama so far! Ms. Hwang is a great actress no matter her quirkiness I think it makes her unique. I wonder who's next on the undateable list! The side stories look interesting too everybody is going through something relationship wise. MULAN Jun 03 2018 7:11 am So funny! Yes, HJE is typecasted once again here but I still love her acting. Marieyelle Jun 03 2018 7:09 am Can't wait for the next episode wohooo Im so excited .This is such a good drama .Im so inlove in both lead actor/actress. Jenny Jun 01 2018 3:59 am Love it! Currently watching ep 8 Cant wait for the next week episode! Koreandramaonly May 31 2018 9:26 pm The lead actress has played this role once too many times! This drama is getting long winded and boring!! Too bad too bc namgoong is such a fantastic actor! shine lee May 31 2018 12:08 pm For me, this is an interesting drama. Love the lead actor/actress. maygohh May 31 2018 12:04 pm Love this drama! lead actor and actress has a great chemistry. This drama should be get more higher ratings. indria May 31 2018 11:25 am Well, actually I'm feel happy and enjoy with this drama..keep waiting for the next episodes.. This drama also surely make me laugh. love this omg May 31 2018 9:58 am loved every episode so far!!!! this show makes my heart so happy. i can't even explain how happy i am. thank you for this drama! i super love the main leads! second lead syndrom is real too huhu. hwang jung eum fighting!!!!! Alex May 31 2018 4:58 am I've noticed some negative comments on this drama, it's true that it is not perfect but I don't think it's really that bad. First of all, it's comedy so exaggerations, weird convos, and some stupid stuff are acceptable. As for the plot, it's not yet clear but I think there's something good in store for us, I mean surely it'll make us laugh. I've watched the first 5 episodes already and I'm loving it. 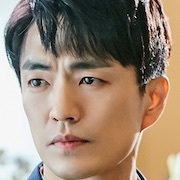 Actually, I always wait for Ngm to act like Ahn Dan-Tae/Chief Kim, I mean he has this Hoon Nam serious face like somehow it's like his inner wackiness is waiting to come out. So far, a big yay for this drama. Kdramafrl on Instagram May 25 2018 2:11 pm I’ve seen the first two episodes & I’ve found it pretty funny. I’m waiting for more eps to come out before I’ll watch ep 3 and 4 from where the story actually starts...I suppose. Till now, the drama has beeb good (for me atleast) the main leads are acting well, previously I HATED Namgung Min cause he was always so overly happy or jolly (and mind you that he was like that constantly!!!!) but this time he has a role which is the opposite of roles we’ve seen him play since the past few years. The lead woman...I love her acting?? Although her character is a bit dumb and dimwitted but it’s fine, she’s acting really well. namgoongmin (Namgung Min) is so handsome from the very first scene :) definition of handsome! this drama is full package from the lead actors to second lead.. chemistry is already there. tension from the lead and second lead actor first glance already started.. this will be fun. looking forward on this romcom. 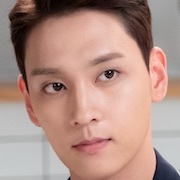 Hwang Jung-Eum and Choi Tae Joon fighting!!!!! Nam Goong Min is wow! Daebak..
Granny May 25 2018 10:55 am Great actors, great expectations, total disappointment. Toooo ridiculous, and Jung Eum wasting her talent. Dial it back. Namgung Min also wasting his talent, and the hair style really detracts from his good looks. I suspect it's intentional for the part, but his looks are also being wasted. Too many episodes ahead, and I'm already about to discontinue. This overacting and ridiculousness (most folks don't act this stupid) is a turnoff. Please improve because these wonderful main actors deserve a better story line. chalbarczyk May 25 2018 4:04 am The plot is weak, or maybe just stupid, the interactions between characters are weak. What a waste of actors' talent! Yatie May 24 2018 1:03 pm I agree with dramaAddict Hwang Jung Eum suits for Melodrama genre more than romcoms. I don't hate her, I really love her in Secret and she nailed it. 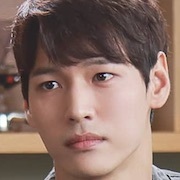 Nam Goong Min as usual good in both characters good and bad? Wittylove May 24 2018 7:28 am I seriously loveeeee this couple! 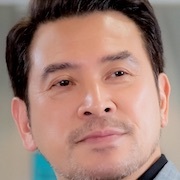 Especially namgungmin. I hope there will be more opportunity for him to act in more romcoms in the future. Luv seeing him in pretty ugly!. And I dont think theres a problem with the female lead. She did well in 'she was pretty'. She really can act in both romcoms and melodrama. So im having a high expectation in this kdrama. someone May 24 2018 2:21 am Isn't this based on Koukou Debut? The manga? Correct me if I'm wrong but it's really similar in terms of plot, except instead of being set in high school they're all working adults. TheWhistler May 23 2018 11:57 am This is her first drama since giving birth. Only seen her in comedies as far as I can remember. She seems to give the same performance, regardless of character. From the trailers it looks the same old, same old. However trailers are not a full episode or even a series. Will give the series a chance. Clarisse May 22 2018 3:18 pm Lee Yoo-Ri is an incredible actress. You have not seen her dramas so you can't judge her. She is very popular and has won many awards (including the daesang in 2014). She would be amazing in any drama but I am really glad that Jung Eum took this role for I've been waiting for her to be back since Lucky Romance. I love her so much and she's my fave actress. All in all, please people, let's be respectful! Ak May 22 2018 1:18 am I like her but her outfit are mehhh. Her taste is weird. Hoosierr May 19 2018 4:16 am Hwang Jung Eum is a perfect melodrama actress.But when it comes to rom-com dramas she thinks making weird faces,gestures and screaming all the time is funny. Well,it's not.It's unbearable and she looks like an annoying scene stealer. I dıd wish Lee Yoo Ri to be female lead in this.She is charismatic and fun, she can be quirky without being annoying so is Nam Goong Min.Their chemistry would've been perfect. I hate that dramaland never treats Lee Yoo Ri in the way she deserves! Cynthia May 18 2018 2:32 am Looking forward for this KDrama. Namgung Min and Hwang Jung-Eum are my favorites. Mariana Minhoto May 16 2018 6:51 pm I can't wait! OMG. She's my girlllll. ♥♥ I missed her so much, goshhh. Guan May 05 2018 5:23 pm Olk26 I agree with you. I think tin never see another drama except romantic comedy. Or never watch her another drama. I love her acting in kmhm and secret. She is kind of a good actress. She can funny and dramatic. But honestly I like her acting in romcom. It is so suit to her. So no wonder people might thought that she always play on romcom. Olk26 May 04 2018 10:38 am tin It would be definitely interesting to see her in different kind of drama but it's not truth that she always act in Romantic/Comedy roles. She had dramatic roles in Secret Love (definitely not comedy) ,Giant, Endless love and even her more comedy kind of role in Incarnation of Money or Kill Me, Heal Me had also dramatic side. Ellen May 02 2018 9:31 am Namgung Min ❤️️❤❤ I cannot wait to see him in a ROM COM. Taehyung-to-die May 01 2018 4:00 pm I'm really anticipating this drama since i watched them both in 'can you hear my heart' 2 yrs ago. That show was filmed back in 2011 and now they're in another drama together!! Dyah May 01 2018 10:53 am I really love this couple.. ?? i dont believe the producer make it happend. I believe this drama will be daebak??. Jung eum unnie & min oppa saranghe ?? Chelchel Apr 26 2018 6:36 am I'm so sad most of the drama now a day's is mostly the same plot,can we watch some with unique plot.what I did this time watching the old drama,go family book and my daughter Seo young. Yessy Apr 07 2018 12:09 pm I can't wait! I loved their chemistry in can you hear my heart. I love them both. I hope the story is good. I swear once I saw who the 2 actors were going to be my heart skipped a beat and dropped like when on a roller coaster. This is what I've been waiting for. Dysphoria Apr 04 2018 8:49 am This needs to be in my life like NOW! Two of my favorites! Heck yes!! purplejan Mar 26 2018 5:31 pm Wow after Namgung Min became a 2nd lead to Jung Eum with I Can hear yOur heart Finally They have are paired as main lead.. I cried My heart so much with that Drama.. Both of them never fails to amaze me.. ??? Wesley gibson Mar 22 2018 9:42 am I like Jung Eum after watch Lucky Romance, i'm glad she is come back :D She is guest star Running man episode 1. Hhhj Mar 21 2018 4:05 pm I love hwang jung eum and nam goong min. I loved she was pretty so much . I laughed so hard but even though im avid fan of jung eum i really hated lucky romance. Since the writer and diroctor are not well known im worried it comes out to be another lucky romance. I really hope the story will be interesting. Nampak Saya Tak.......Tidakkkkk!! Mar 21 2018 12:56 pm Ohhhh .. Dont forget Oh Yoona will be one on team in this drama !!! C0reen Mar 20 2018 2:26 pm @Dex: No, thank you. People have different tastes and I don't expect you guys to like my favourite actors/biases. Ye yeri Mar 20 2018 1:58 pm Same partner in Can You Hear My Heart. Same partner again, that's Hwang Jung eum style. She always loves play with the ex-partner. Yo xiao Mar 19 2018 5:56 pm Looking forward for this. I shipped them in can you hear my heart. I love them become a couple. Dex Mar 19 2018 10:49 am coreen if you watch Secret Love I'll doubt you will say she's over acting Ilove Hwang Jung Eum because she is soo gooood, she can make you laugh and cry a lot. Lia Shen Mar 14 2018 7:20 am My WooRi x MaRoo pairing, you both finally be together after 7 years! Can't wait. Ananta Mar 14 2018 6:56 am Such a great couple. It will be really interesting drama . Can't wait to see NGM and HJE on screen again!! Good luck team!! CKW Mar 14 2018 2:59 am The show name and the actress' name. LOL Made for each other. Doubtful about the NGM x HJE pairing though. Both are great actors, but IDK if they'll have the chemistry. joang Mar 14 2018 12:23 am waaaahhh!!!! i cant wait for this drama!!! i love the actress and the actor lead ! !N huhuhuhuhu love them both..thank you!! Shawn Mar 13 2018 11:22 pm Yassssss! The best Korean actress is back and I'm sooooo happy! Also a huge Nam Goong Min fan! This is already a hit! me_nina Mar 13 2018 10:31 pm Asssaaaaaa!!!!! Clap clap clap??? Bravo! I'm so excited! Clarisse Mar 13 2018 9:25 pm Yesssssssssssssss!!!!! Maninder Kaur Mar 13 2018 9:23 pm Yayyyyy..... Awesomeness... Hwang Jung Eum accepted the role ❤❤ this is gonna be amazing amazing drama. Namgung Min and Hwang Jung Eum ... All the best and Fighting ??? sul Mar 13 2018 8:29 pm yess! hwang jung eum accepted the role of jung eum! Sam Mar 12 2018 11:48 am I'm curious if Hwang Jung Eum accepts this or not because even though I'm a fan of her, I actually want her comeback drama to be in a serious genre. But if ever she accepts, it's also weird that she'll be using her real name for the drama. Won't that have a little effect on how she portrays her role? Anyway, it's nice to see her again with another co-star from a previous drama if this happens. Anything with her, I can watch. Arihant Mar 09 2018 1:34 am Would be great to see NamJung min in a romcom .He was excellent in "My Beautiful Gong Shim" .Have also liked Hwang Jung Eum in all her roles so far..
Shawn Mar 08 2018 10:14 pm Hwang Jung Eum does way more than overacts and screams! Not sure what that C0oreen person is talking about! She can do screwball comedy like Lucille Ball and sometimes that causes for a little over the top antics, but she's so versatile she can make you laugh, cry, heart flutter, and feel a whole lot of other emotions because she's so damn good!! I get lost into the moment when she's on my tv!! She has amazing eyes and facial expressions! So beautiful as well!! I hope she accepts this role!! I've missed her so much! She's my favorite Korean actress!! I gave up watching American tv mostly because of her and Park Seo Joon! HaHa!! I'm also a huge fan of Namgoong Min!! This will be perfect casting if Hwang Jung Eum accepts!! Sarang Mar 06 2018 10:24 pm Can't wait for this drama! Hwang Jung Eum-unnie, accept the Jung Eum role, please! C0reen Mar 06 2018 9:48 pm For me, it's actually the other way around. If she accepts the role I am not going to watch despite my fave Namgoong Min. Too much overacting and screaming, no idea why she's so popular. Jin Mar 06 2018 9:41 pm Cool! Sounds like something I would watch. I hope they get a good female lead and not some idol singer that can't act. Karen Khoo Mar 06 2018 10:55 am Hwang Jung Eum please accept the role of Jung Eum. It's fate that the character is named after you. Eka Mar 02 2018 1:39 am Nam Goong min chebal!! Please accept the role.. Already miss your acting ?? ?